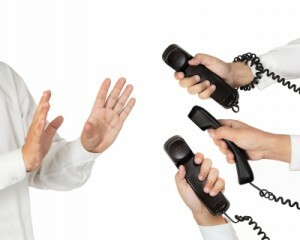 Cold calling gets old, doesn't it? Instead, why not work on magnetically attracting new prospects to your technology business? Just get your brand in front of the right audience with Internet marketing. With strategic, targeted Internet marketing, your firm can become a familiar and trusted name. You'll need to be everywhere your prospects are online. Your content must supply valuable, solution-oriented and subtly persuasive information to those specifically looking for your product/service in the research phase--and those who don’t even know they need your product/service yet. Strategic Internet marketing will help you attract, manage and nurture leads to conversion. Start a blog and stick with it. Fresh, relevant content will increase your keyword ranking in Google. If you can post something (valuable) every day, do so. Give sage advice. Share your perspective on a new development in your field, etc. You can talk about what’s new with your product/service or introduce a new feature, but not every day. Most content should be practical and useful with a bit of cleverness thrown in. That's because imbuing your company or service with a unique personality (aka humanizing your brand) is also important. Create or add content to a Wikipedia page that deals with or references the problem or category your product solves. No matter what you sell, you’re selling solutions, right? Maintain a social media presence. On Twitter, compose tweets around relevant topics/keywords to spark discussions about problems your product/service solves. On your company Facebook page, post how-to tips and link to content on your site. Create a LinkedIn page and join pertinent groups/pages/discussions on key topics, posting links to relevant articles or your website content. Ideally, as your business grows, maintain pages for your company and the principal, (CEO/president/owner/you) and market yourself as a thought leader. Spend the most time on social media networks that match your target demographic and yield the best results. Need subject matter? Look for trending topics that relate to your product/service/industry to create content around. By using social media marketing methods like these, you engage and entertain your target audience. Use images and video. There are so many outlets right now: Instagram, Pinterest, good old YouTube (how-to videos) and more. Photos and video easily attract attention (and shares) and they can be tangentially related to your business, if you don’t have a product to showcase. In fact, posting a bunch of product shots would be boring. Mix in some behind the scenes goings-on at your place of business or send a visual postcard from a conference. Also use images and video to illustrate the problems your product/service solves. Direct your prospects to conversion. When new visitors hit your home page, navigate them to their interest area as quickly as possible. Offer prominent buttons leading to your small business product, your enterprise product, etc. Create landing pages specifically for visitors that come to your site from social media campaigns or ads. This way you can speak to each customer type personally and directly--and keep them on the conversion path. Create website content for major audience segments and their interest level/buying cycle phase. SEO and purpose-built content are crucial elements that guide searchers to you--and help nurture leads toward a sale. Include introductory/overview blog posts and service description pages for the "awareness" stage, first time/casual visitors. Downloadable white papers work well for decision support and these repeat site visitors should be willing to give up their email address in exchange. Track which pages buyers tend to hit before purchases or successful conversions and pop up your contact form (or link to it) from that page. Follow this blog for more Internet marketing inspiration!